Italian oil services company Saipem is trying to lure big U.S. rivals into joint ventures but has so far failed to secure deals for stakes in drilling operations valued at up to 1.5 billion euros ($1.7 billion), six sources told Reuters. Saipem, controlled by Italian state lender CDP and oil major Eni, needs joint venture deals to revive growth and underpin its balance sheet after years of falling margins. Despite a recovery in oil prices this year, sluggish demand is still testing the outlook for oilfield service companies and is expected to trigger consolidation in an industry still recovering from the 2014 downturn in energy markets. 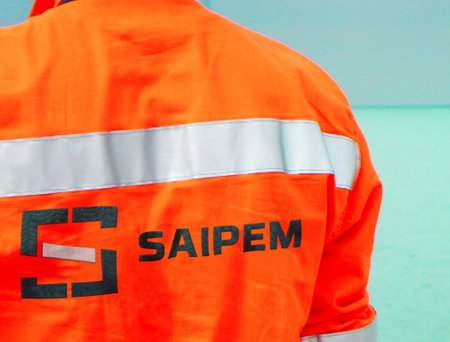 Saipem has been reviewing options for its onshore and offshore assets for the past nine months in an effort to find a partner that would help it to cut costs, the sources said. The Milan-based company hired Citi last year to sound out interest from land-based rig businesses including Patterson-UTI, Pioneer Energy Services and Helmerich and Payne, the sources said. It also approached Swiss driller Transocean, which has operations across the United States and Canada, to combine some of their respective assets but talks have failed to take off, one of the sources said. Saipem and Transocean declined to comment while Patterson-UTI, Pioneer Energy Services and Helmerich and Payne representatives were not immediately available. Italy's biggest oil contractor started looking for joint venture partners last summer, but efforts have been hundered by tough market conditions for international drillers and high price expectations. Patterson-UTI, Pioneer and Helmerich and Payne rank as the leading oil drilling companies in the United States but they have been hit hard by an industry downturn and are taking a cautious approach to merger and acquisition (M&A) activity, the sources said. In previous attempts to find a partner Saipem boss Stefano Cao held talks with Subsea 7 in 2017 but negotiations broke down, two of the sources said, and Subsea subsequently ventured in a hostile approach for McDermott. Saipem, which recently wrote off its Venezuelan assets, last year posted a 30 percent drop in core earnings at its offshore drilling unit while the onshore business posted a 24 percent rise to 135 million euros.